Internet of Things seems to be everywhere --- with so much noise out there (that often sounds exactly the same), we thought it might be helpful to point out three IoT platforms that seem to be gaining traction with makers. We know there are many options and encourage you to leave your recommendations in the comments section. Please also let us know if you have used any of these and what you think about them. ThingSpeak™ is an IoT platform that enables makers and hobbyists to collect, store, analyze, visualize and act on data from sensors or actuators, such as Arduino, Raspberry Pi, ESP8266, ESP32 and other hardware. It is open source, free for noncommercial small projects and supported by a healthy library of tutorials , documentation and an active forum. 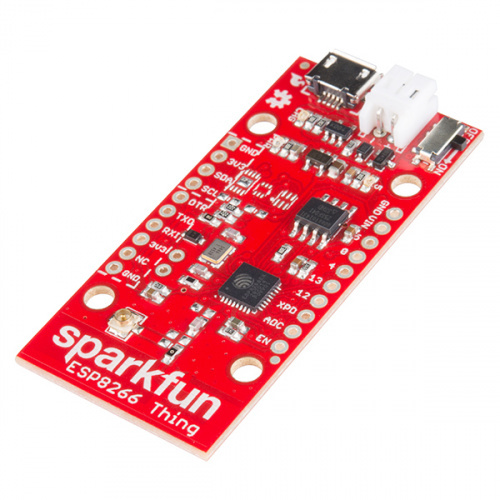 We also released a tutorial for ThingSpeak last year for the SparkFun ESP8266 Thing Dev Board. The steps to using ThingSpeak are pretty straightforward: (1) create a channel and collect data; (2) analyze and visualize the data; and (3) act on the data. That's it for now. Please let us know what software platforms you are using in your projects and why you like them. Yes, Adafruit's IO is cool. Also Bitdog.io if you want a mix of GPIO control, Z-Wave devices, dashboards, and mobiles apps on free platform. It also has Amazon Echo integration. You can make projects that are controlled via Amazon Echo. Arduinet from Enterox is another IoT platform that supports data mapping for unstructured data posted by IoT devices and rule engine that can synthesize and transmit signals to devices over various possible IoT protocols like MQTT, COAP, etc. also including legacy protocols like Modbus. Hi all, I am an old Sparkfun user/customer and I built a service for storing time series data, with a focus on simplicity/ease of use. Would be interesting to see if anyone here could use it for IoT projects. The address is https://pushdata.io and it has a free tier. If anyone wants to try it out, please give me some feedback on hello@pushdata.io - I'd be interested to know if any part of it is hard to use, if it lacks functionality or if the paywalls or pricing are wrong for IoT users. But that project requires Matlab. Things you may want to ask yourself before going too far into this example: Matlab: 30 day free trial, but after that serious money... GBP 100 for home user. Lifetime licence? One PC (so buy again when Windows 11 makes us upgrade hardware?) Or one SEAT, on pc of our choice, for life, transferable. I dug for a bit, but never did quite figure out how/ where the readings from my IoT device WENT, or WHERE I would see the pretty graphs Matlab can generate. Or how I set up whatever it would be that would display the graph. In support of Oregon State, Linux User Group activities, I have developed a solution that does not depend on "cloud services". My solution utilizes a Raspberry Pi for data recording, analysis, and web services. All software is open source: Redboard Arduino code, server side software, and web service documents. All the software, as well as complete documentation, is available at https://github.com/fractalxaos/weather/ . View "DIY Weather Project Description.pdf" for details, hookup guide, and software installation guide. See actual example of weather data web page at http://intravisions.com/weather/ . It appears the submit.php script is displaying in your browser. The most likely cause of this is that your server does not have php scripting installed and/or enabled. You must have php installed and configured so as to allow running php scripts from the user public_html folder. Follow instructions here: https://www.raspberrypi.org/documentation/remote-access/web-server/apache.md . Also be sure to modify /etc/apache2/mods-available/php7.0.conf to allow user directories by commenting the lines at bottom of file. So, is data.sparkfun.com up or down? This was helpful. For my data storing needs (data from the Bloominglabs hackerspace in Bloomington, IN), I started with Pachube...which was renamed to Cosm...which was renamed to Xively. Then it got progressively more convoluted and 'Enterprisey'. Finally I got an email telling me they were kicking off all the small-time people like me, long after I stopped caring. I also used a thing called 'beebotte' for a while. It's reasonably nice, but I am going to give some other things a whirl, probably Thingspeak and then maybe Blynk as well. Is data.sparkfun.com alive or dead? It has been in limbo for two years. If it is dead, Sparkfun needs to publicly announce its end of life. 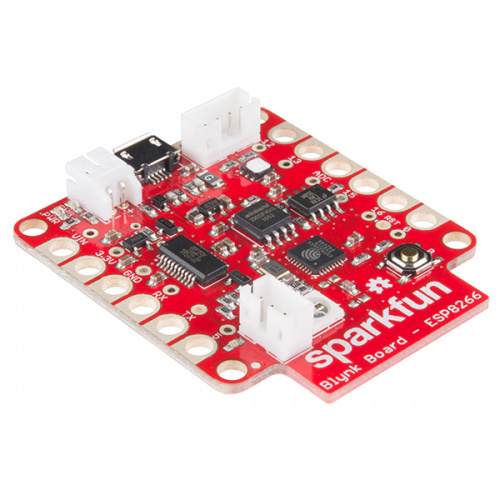 If it is alive, Sparkfun needs to publicly announce when and how it will be brought back to full functionality. You owe that much to your customers. Please make the decision and follow up on it. Thank you. Hi Member #494030! Youâre right, Phant was a great solution when released, but support from SparkFun hasn't kept pace with the communityâs needs. Device/IoT connectivity, like that provided by Phant, is important to SparkFun and our future strategy in this area (including Phant) is being activity developed. Rest assured, as we make a move in this area, weâll be making the community and our customer base aware of our plans. Youâll be hearing more in this area (and Phant) as the year progresses. Thanks!